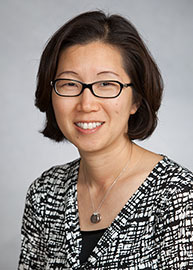 Dr. Rhee is a pediatric hospitalist with special interest in childhood eating and weight related disorders. Specifically, she conducts research on the behavioral, cognitive and biologic factors contributing to the development and management of childhood obesity. She has multidisciplinary training in pediatric hospital medicine, childhood obesity, eating disorders, behavior modification and therapy, parent-child interactions, parenting skills training, motivational interviewing, epidemiology, and social psychology. Her work focuses on identifying novel targets for obesity prevention and treatment including, parenting styles, parent feeding behaviors, child eating behaviors, executive functioning, genetic and epigenetic influences, and gut peptides and the microbiome. The purpose of this project is to determine the impact of parent feeding skills, parenting style and family functioning on children trying to obtain a healthy weight in a family-based weight control program, and to determine if there is variability in these components between families with overweight children and normal weight children. Given the growing evidence regarding inhibitory control skills and its role in the development of obesity, the purpose of this proposal is to develop a protocol that promotes executive functioning, particularly inhibitory control, in young children age 4-6 years old. We propose to test a play-based method of training preschool-age children to develop inhibitory control skills around energy-dense snack foods. This proposal will provide the basis for the development of a new and innovative means of treating/preventing obesity by focusing on higher-level executive functions. The purpose of this project is to examine the effect of probiotics on the gut biome, adiposity and inflammatory markers in 7-16 year old children as they increase fruit and vegetable consumption and decrease fat intake. The purpose of this pilot randomized control trial is to examine the impact of eggs for breakfast on weight loss, hunger, and metabolic profile in obese children. Using the Infant Feeding Practices Survey II, we are conducting several analyses examining early life factors such as breast feeding and antibiotic use on the weight gain trajectory of infants in the first year of life. The goal of this study is to examine provider views on obesity management in the primary care setting and test the implementation of a Guided Self-Help model of treatment that can be delivered by health educators in the primary care setting. This project will test a newly developed model of obesity treatment for adolescent females who emotionally eat. Dialectical Behavioral Therapy and traditional Family-Based Behavioral Treatment for obesity will be combined to provide treatment for these teens and their mothers. The purpose of this study is to examine whether the rate of refeeding and type of diet used to refeed anorexic patients impacts outcomes (including medical consequences and length of stay). The purpose of this study is to examine differences in the gut microbiome among sibling pairs who are discordant for anorexia, and how the microbiome of the eating disordered sibling changes with weight restoration.